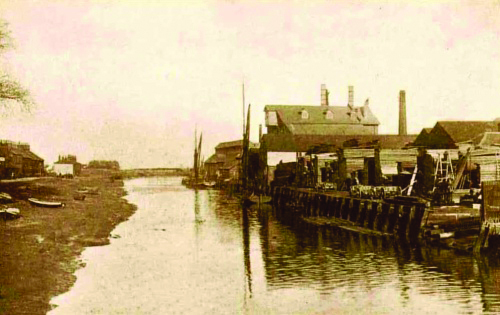 Standard Quay, including Chambers Wharf, incorporates the site of one of Faversham’s 19th century shipyards where in the space of 40 years 25 Thames Barges were built as well as many smacks and cutters. It was only 30 years ago that the Quay itself was still being used for maritime trade with vessels coming up the Creek to service the SECOS oil depot and lighters for the Paul’s warehouses moored here. 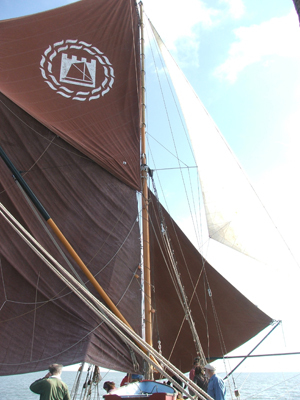 The Quay is now a busy site used for the mooring, preservation, rebuilding and maintenance of traditional vessels and Sailing Barges in particular. 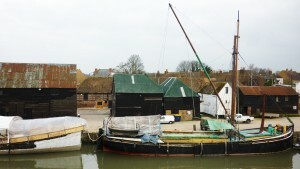 Standard Quay (Faversham) Ltd was founded in 1993 with the aim of preserving Standard Quay’s importance as a link between the town and the sea. 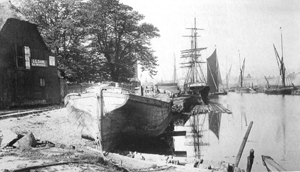 This was a time when facilities for large traditional vessels in London and other areas in the South East were becoming rapidly few and far between; most being lost to housing development. To have a Quay such as this in the heart of Faversham is of tremendous importance and yet at the time, 1993, Standard Quay was designated for use as a car park in the Borough Local Plan. 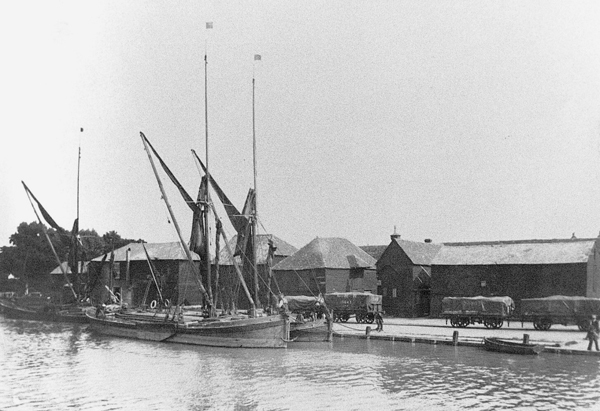 Standard Quay (Faversham) Ltd was set up to try to ensure that the Quay would be used for its natural function: for marine related activities, notably traditional vessels. For 17 years the company maintained and improved the workshops and the quayside and has been developing the facilities and access to skilled labour that is on the Quay today. 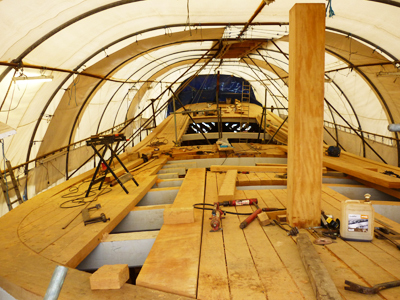 While the main aim of Standard Quay (Faversham) Ltd is to provide affordable moorings and facilities for resident and visiting vessels to arrange their own maintenance, there are a number of highly skilled craftsmen who work from the Quay itself. 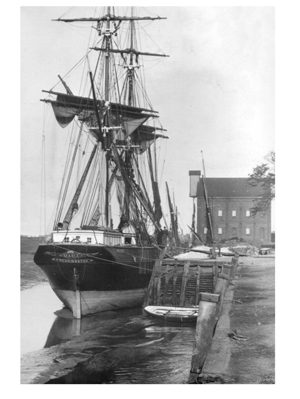 For Creek History resources go to the Faversham Town website for a good summary and for the Faversham Society who have a wealth of research available and more links to explore on their website.